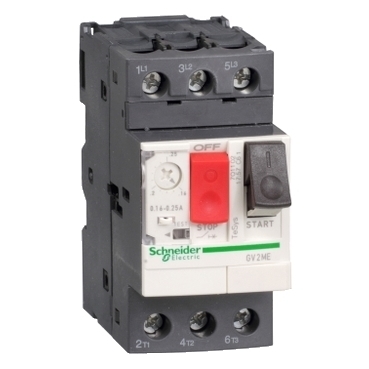 Detailed Description: Square D by Schneider Electric circuit breaker offers a complete line of products for the manual control and protection of motors. The GV2 and GV3 manual starters and protectors provide manual isolation, manual motor control, and overcurrent protection in one compact unit. An automatically operated electrical switch designed to protect an electrical circuit from damage caused by excess current from an overload or short circuit.